by request of the seller the address will be posted prior to the inspection, Washington DC . 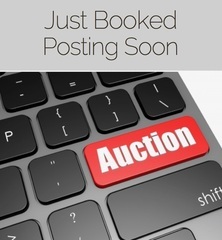 AUCTION CLOSING DATE: TBD beginning at 11:07 am. Bidding closes on the first item at 11:07 am, then closes at the rate discussed in these Terms and Conditions of Sale.